To mark World Health Day on 7th April, read the BRS Secretariat’s Press Release calling for greater action to prevent illness and death from unsound management of chemicals and waste. Geneva, 5 April 2019 – Recently, the World Health Organization estimated the ‘disease burden’ preventable through sound management and reduction of chemicals in the environment at around 1.6 million lives per year.1 As the international community marks World Health Day, three UN conventions whose aim is the sound management of chemicals and waste are stressing the need for urgent and greater actions from governments to reduce the number of illnesses and death from hazardous chemicals and wastes. One of the pathways taken by hazardous chemicals into the human body is through our food and liquid intake. Persistent Organic Pollutants (or POPs) are highly toxic chemicals known to be carcinogenic, which accumulate in the fatty tissue of mammals, birds and fish. POPs become more concentrated in higher reaches of the food chain, culminating in humans, potentially leading to serious health effects including certain cancers birth defects dysfunctional immune and reproductive systems, greater susceptibility to diseases, and damage to the central and peripheral nervous systems. Toxic chemicals present in the air also impact our health if we inhale them. The Basel, Rotterdam and Stockholm conventions work to protect people from these harmful impacts in a multitude of ways. With 187, 161, and 182 parties respectively, the three conventions are nearly universal and are legally-binding, covering the life-cycle of hazardous chemicals and wastes, protecting human health and the environment at every stage. This starts with the reduction and elimination of toxic chemicals, includes the minimisation and environmentally sound management of wastes such as electronic waste, mercury waste, plastic waste and more, as well as the creation of innovative public-private partnerships to tackle household waste, mobile phones, and computing equipment. For example, the Basel Convention – which in March 2019 marked 30 years since adoption and which is primarily concerned with providing the legal framework for controlling transboundary movements of hazardous wastes and other wastes – has developed globally-agreed technical guidelines on how to manage different waste streams in an environmentally sound manner, including the prevention of impacts on human health from lead acid batteries, healthcare and medical waste, and electronic waste, to name just three. The Rotterdam Convention features transparent trade regulation measures and an obligatory information-sharing system to enable and ensure informed decision-making from governments regarding the refusal, or import and proper use, of more than 50 hazardous industrial chemicals and agricultural pesticides already listed under the Convention. This has led to lowered health risks to people handling such substances, especially including vulnerable groups such as the rural poor, and women and children. At the same time, the need for urgent action to achieve the sound management of chemicals and wastes was a key concern at the recent Fourth UN Environment Assembly, where a Resolution4 was adopted on this subject calling on governments and all other relevant stakeholders to take note of progress achieved by the chemicals and waste conventions and to encourage all stakeholders to seek the establishment of permanent programs of information directed to consumers and the public in general, on the risks generated by chemicals and raise awareness of the responsibilities related to their management. Further decisions which will help prevent illness and reduce preventable deaths will be taken at the next Conference of the Parties to the Basel, Rotterdam and Stockholm Conventions, in Geneva from 29 April to 10 May 2019, the theme for which is “Clean Planet, Healthy People: Sound Management of Chemicals and Waste”. Draft decisions to be discussed include the listing under the Stockholm Convention of the fluorinated chemical Perfluorooctanoic Acid (PFOA), widely used as a water and oil repellent and found to contaminate drinking water supplies in many communities and Dicofol, a highly toxic organochlorine pesticide used to control mites on many crops and known to be harmful to humans and the environment; the listing of seven additional chemicals under the Rotterdam Convention; and a new Basel Convention partnership on plastic waste and amendments to better incorporate plastic waste into the existing control mechanisms of the Convention. The Stockholm Convention on Persistent Organic Pollutants is a global treaty to protect human health and the environment from chemicals that remain intact in the environment for long periods, become widely distributed geographically, accumulate in the fatty tissue of humans and wildlife, and have harmful impacts on human health or on the environment. Exposure to Persistent Organic Pollutants (POPs) can lead to serious health effects including certain cancers, birth defects, dysfunctional immune and reproductive systems, greater susceptibility to disease and damage to the central and peripheral nervous systems. The Convention requires its Parties to take measures to eliminate or reduce the release of POPs into the environment. As of today, this legally-binding Convention has 182 Parties, giving it almost universal coverage. To date, 28 chemicals of global concern have been listed under the Stockholm Convention. With 187 Parties, the Basel Convention has come a long way since adoption on 22 March 1989. Read the BRS Press Release marking this milestone. 22nd March 2019 - With an estimated 12,000 million tonnes of plastic entering landfills or the natural environment by 2050 under current trends1, and with an estimated 50 million tonnes of electronic waste being generated every year - projected to triple by 20502 - the international community mobilised in Geneva today to renew calls for more comprehensive and effective approaches to waste management. The need for urgent action to achieve the sound management of wastes was a key concern at the recent Fourth UN Environment Assembly where States pledged to work towards defining national targets at the earliest opportunity for reducing waste generation and increasing the reuse of products and recycling of waste. With public awareness focussing largely on marine plastic litter, “a upstream focus on tackling at source the problem of waste is required more than ever before”, said Rolph Payet, Executive Secretary of the Basel Convention,3 a nearly universal environmental treaty aimed at ensuring the prevention and minimization of the generation of hazardous wastes and other wastes as well as their environmentally sound management, in addition to provisions aimed at controlling their exports and imports. This evolution is marked by new priorities that have enriched this treaty and gradually complemented the core business of the Convention, which is the control of transboundary movement of wastes. In 1999, the importance of the environmentally sound management of wastes became a strengthened area of focus; in 2006, heightened attention was given to the sound management of the particular challenging waste stream of electrical and electronic wastes; in 2008, the protection of human health from the hazards of wastes gained increased momentum; and in 2010, setting yet a new chapter in the life of the Convention, prevention and minimization of wastes gained increased support as the importance of working “upstream” was acknowledged. The Convention thus perpetually remains modern and very close to the everyday lives of all citizens: we each have the responsibility and opportunity to contribute towards achieving its objectives. The Secretariat of the Basel, Rotterdam, and Stockholm Conventions, or BRS Secretariat, supports Parties implement the three leading multilateral environment agreements governing chemicals and waste, in order to protect human health and the environment. See www.brsmeas.org for more info and follow @brsmeas twitter feed for daily news. To mark International Women’s Day, read our new Press Release on why women and girls are more likely than men to suffer adverse effects from chemicals and waste. 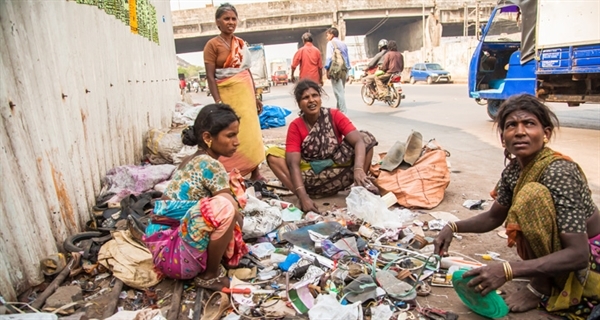 8 March 2019 - Due to a combination of socio-economic, cultural, and physiological factors, women and girls are disproportionately vulnerable to the harmful impact of pollution from chemicals and waste. At the same time, in many countries, women are increasingly assuming leadership roles in raising awareness, and protecting their communities, from these impacts. The adverse effects of hazardous chemicals and wastes on different groups of the population vary depending on the level of exposure, behavioural patterns, age, biological effect (for example, endocrine disruption), geographical location, nutritional status and co-exposure to other chemicals. Certain types of chemicals, such as persistent organic pollutants (POPs), can build up to dangerous levels in humans causing adverse reproductive, developmental, immunological, hormonal, and carcinogenic effects with varied impacts on vulnerable groups of the population. In farming, more than 40% of agricultural work in developing countries is done by women and girls. Because women are twice as likely to be illiterate2 as men, vital chemical and safety information is often overlooked, increasing the likelihood of mis-handling and consequent unintended exposure to pesticides. Cultural norms also impact on women and girls’ vulnerabilities. Of the estimated 13,000 chemicals3 used in beauty and hygiene products only about 10% have been evaluated for safety. A recent study concluded that women of colour, independent of socio-economic status, are most exposed to higher levels of such chemicals4 as a result of using products such as skin-whiteners and hair products, which often contain toxic substances, including heavy metals such as mercury and lead. Such socio-economic and cultural factors are compounded by physiological differences between women and men, since their smaller size and role in the reproductive cycle, women are proportionately more heavily impacted than men even when exposure is the same. Up to 33% of a woman’s chemical burden can be passed on to her baby during gestation, through the placenta, as well as via breastfeeding.5 Women are often not even aware of the health risks they are facing, especially given that some of these chemicals can remain in the body for long periods and manifest themselves later in time. These examples emphasise the need for enhanced gender considerations and sound management of chemicals and wastes in the broader push for implementing the sustainable development goals (SDGs). Indeed the relationship between chemicals and wastes and gender, under SDG 5, requires constant emphasis, attention, and mainstreaming. This will be further explored during the next Conference of the Parties to the Basel, Rotterdam and Stockholm Conventions, in Geneva from 29 April to 10 May 2019, the theme for which is “Clean Planet, Healthy People: Sound Management of Chemicals and Waste”. Read the BRS Press Release on marine litter, as BRS and Barcelona conventions join forces to help beat plastic pollution. 7th December 2018: Geneva, Switzerland - With UN Environment reporting that 12,000 million tonnes of plastic will be in landfills or in the natural environment by 2050 under current trends1, the international community mobilised in Geneva, Switzerland this week to explore ways to tackle marine plastics litter, one of the most visible and pressing environmental issues of our time. Improved governance, a holistic approach, a possible new global treaty, strengthening existing initiatives and instruments, and better coordination among them, were considered as options, which will go to the next UN Environment Assembly, UNEA-4 in Nairobi next March, for consideration and actioning. 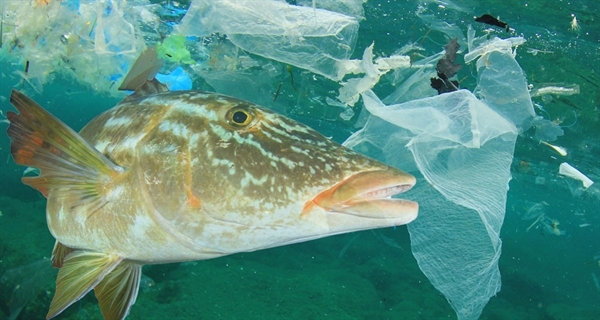 One existing legally-binding instrument, the Basel Convention, was recognised as a valuable avenue for governments and stakeholders to tackle plastic pollution, given it is almost universal and has a number of relevant features, with amendments being discussed at its next conference of the parties next year. Focussing on tackling waste generation at source and at the household level, a Basel Convention Partnership on Household Waste was initiated in 2017 to explore and disseminate innovative solutions, an integrated approach, avoidance and minimisation of waste at source as well systems for the collection, separation, transport, storage, treatment, processing, recycling and where necessary, final disposal, of household waste. More information is available here: http://www.basel.int/?tabid=5082. Responding to the call for urgency and to improve actions in the Mediterranean region, strengthened cooperation between international agreements was announced on Friday 6th December, with the secretariats of the Barcelona Convention2 and the Basel, Rotterdam and Stockholm conventions3 signing a new memorandum of understanding aimed at boosting regional efforts including to beat plastic pollution. Next, the Basel Convention’s Conference of the Parties (COP), in April/May 2019, will consider a range of additional steps to better address the challenges of plastics wastes4 including proposed amendments to the Convention to better address plastic wastes5; a set of further actions and establishing a new Partnership on Plastic Waste designed as an international vehicle for public-private cooperation, sharing of best practices, and technical assistance in the area of at-source measures to minimise and more effectively manage plastic waste, thus helping tackle the global environmental problem of marine plastic litter. 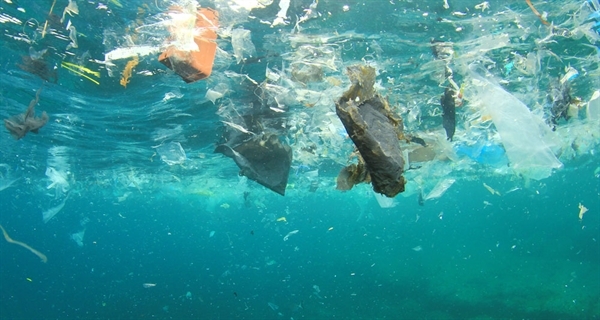 More information on minimising plastic waste is available here: http://www.basel.int/?tabid=6068. The Barcelona Convention was adopted in 1976 and aims to protect and improve the marine and coastal environment in the Mediterranean, whilst promoting regional and national plans contributing to sustainable development. Today, 21 countries surrounding the Mediterranean Sea, as well as the European Union, are Contracting Parties to the Barcelona Convention. The UN Environment / Mediterranean Action Plan (MAP) is a cooperative effort to support the implementation of the Barcelona Convention. See web.unep.org/unepmap for more info. 2. Barcelona Convention for the Protection of the Marine Environment and the Coastal Region of the Mediterranean. 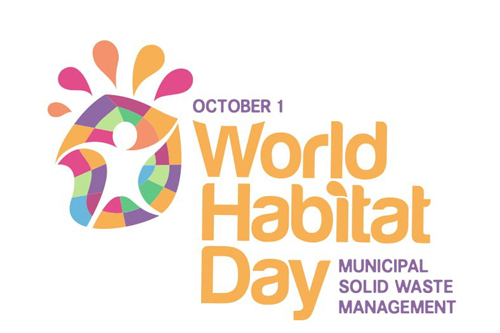 The BRS press release on Basel Convention partnerships is online, marking World Habitat Day 2018 and its focus on solid waste. The Press Release of the 11th Meeting of the Basel Convention’s Open-ended Working Group is now online. 6th September 2018: Geneva, Switzerland - Momentum was built in Geneva this week to better address wastes including marine plastic litter and microplastics, through decisions adopted today by the Open-ended Working Group of the Basel Convention on the Control of Transboundary Movements of Hazardous Wastes and their Disposal. More than 400 experts from 135 countries and international organisations, including industry associations, met and today adopted a suit of decisions related to wastes, including marine plastic litter and microplastics, electronic waste, and household waste. Additionally, a High Level Event was organised bringing together more than 70 ambassadors and heads of international organisations to further enhance the commitment for global action for marine plastic litter. Enhanced cooperation with World Customs Organisation to strengthen the Harmonized Commodity Description and Coding System, used by customs authorities to improve the control of wastes crossing borders. Finalisation of the draft Manuals on Extended Producer Responsibility, which when completed can assist Parties with concrete actions for promoting the life-cycle approach in the manufacturing of products through to recycling. Reflecting upon both the OEWG11 and the High Level Event, Rolph Payet, Executive Secretary of the Basel, Rotterdam and Stockholm conventions, said that the decisions of the OEWG11, combined with heightened international commitment “constitute an important step in addressing the technical, legal, and political dimensions of the problem of marine plastic litter and pollution from other hazardous wastes. These three dimensions reinforce one another and are all vital for tackling such a ubiquitous and significant set of issues and challenges.”. Meetings continue with the organisation of the 13th Meeting of the Basel Convention’s Implementation and Compliance Committee (ICC13) back-to-back with OEWG11, at which progress is expected on a range of relevant legal questions. Details of decisions taken at ICC13 will be posted on the BRS website in due course. 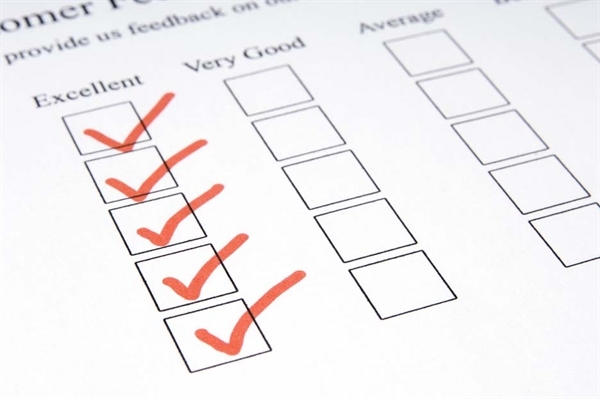 E-surveys are now available online to gather data and feedback on the synergies process. 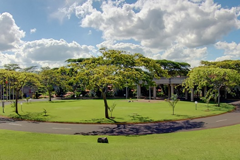 A Press Release is now available summarising major outcomes of the OEWG-10 and ICC-12 meetings, held in Nairobi from 30 May to 2 June and 4 to 6 June 2016, respectively. The Secretariat of the Basel, Rotterdam, and Stockholm Conventions (BRS), together with its partner the European Institute for Innovation and Technology’s Climate Knowledge and Innovation Community (Climate-KIC), is proud to launch the first-ever Massive Open Online Course, or MOOC, on the electronic and electrical waste, e-waste challenge. Outcomes of the 4th International Conference on Chemicals Management, featuring governments, civil society, and private sector, 28 September to 2 October in Geneva. Finishing at 03:45 in the morning of Saturday, 16 May 2015, the Meetings of the Conferences of Parties to the Basel, Rotterdam and Stockholm Conventions are over, with several key decisions taken. Significant steps were agreed upon early this morning by parties to the Basel, Rotterdam, and Stockholm Conventions, as the 2015 Triple COPs drew to a close. 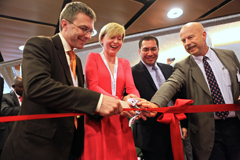 Staged under the theme “From Science to Action: Working for a Safer Tomorrow” from 4 to 15 May 2015, almost 1,200 participants from 171 countries converged on Geneva to push forward the chemicals and waste agenda at this biennial event. A number of technical guidelines for the management of waste under the Basel Convention, four new listings (three under the Stockholm and one under the Rotterdam Conventions - polychlorinated napthalenes, hexachlorobutadiene, and pentachlorophenol and its salts and esters; and methamidophos respectively), and continued and strengthened synergies and implementation arrangements were the highlights of the decisions adopted on the final day. Meanwhile several chemicals considered were not listed, but instead deferred or made subject to special inter-sessional working group focus. Basel Convention technical guidelines, aimed at assisting Parties to better manage crucial waste streams and move towards environmentally sound management (ESM), were adopted covering mercury waste and persistent organic pollutants (POPs) waste (one general and 6 specific waste-streams). Of high significance is the adoption on an interim basis of the technical guidelines concerning the transboundary movement of e-waste and used electronic and electrical products. The BC technical guidelines on electronic, or e-waste provide much-needed guidance on how to identify e-waste and used equipment moving between countries, with the aim of controlling illegal traffic. 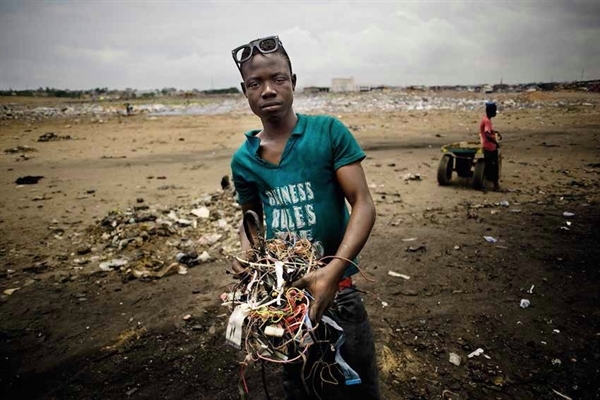 Adoption came just days after UNEP released new data suggesting that as much as 90% of e-waste is dumped illegally, costing countries as much as US 18.8 $ billion annually and posing severe hazards to human health and the environment, particularly in Africa. Designed to provide a level playing field for all parties to the Convention, the guidelines will support and also encourage genuine recovery, repair, recycling and re-use of non-hazardous electronic components and equipment. Regarding those pesticides where consensus could not be reached for listing, including paraquat and fenthion formulations, and trichlorfon, Clayton Campanhola, FAO Executive Secretary of the Rotterdam Convention, commented that “hazardous pesticides are not helping countries to produce more food with less, on the contrary: if badly managed, they cause negative impacts on natural resources and the health of rural communities and consumers.” In this respect, Parties requested additional technical assistance and support to identify alternatives to the use of hazardous pesticides which – if combined with integrated pest management (IPM) and agro-ecological approaches – form the basis for sustainable agricultural and rural development. Whilst many Parties expressed their disappointment at the inability to reach consensus required for listing more of the chemicals proposed to be listed under the Rotterdam and Stockholm Conventions, the BRS Executive Secretary Rolph Payet stressed the significance of the steps taken in noting that “our Conventions’ joint and mutually reinforcing objective is the protection of human health and the environment, and the Guidelines and additional listings decided upon by Parties during these two weeks continue to move us in this crucial direction. We have to place the sustainable management of chemicals and waste in the context of peoples’ lives, especially the more than 1 billion people on our planet who continue to live in absolute poverty and who strive to better themselves in whatever ways they can. We will never waver in our moral and political responsibilities towards the most vulnerable people in this world, and I believe strongly that the three conventions continue to offer the best framework for moving jointly towards a greener, more inclusive economy, and a safer tomorrow for all”. The Basel Convention on the Control of Transboundary Movements of Hazardous Wastes and their Disposal is the most comprehensive international environmental agreement on hazardous and other wastes and has 183 parties. The Rotterdam Convention on the Prior Informed Consent Procedure for Certain Hazardous Chemicals and Pesticides in International Trade promotes shared responsibility and cooperative efforts among its 154 Parties. The Stockholm Convention on Persistent Organic Pollutants (POPs) is a global treaty to protect human health and the environment from chemicals that remain intact in the environment for long periods, become widely distributed geographically, accumulate in the fatty tissue of humans and wildlife, and have harmful impacts on human health or on the environment. It has 179 Parties. Polychlorinated napthalenes, Hexachlorobutadiene, and Pentachlorophenol and its salts and esters, are persistent organic pollutants (POPs) posing serious threats to human health and the environment. Methamidophos is an extremely toxic organophosphate insecticide, causing serious adverse effects to human health, particularly to neural, immunity and reproductive systems. 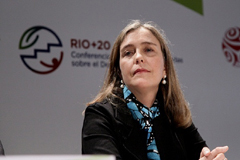 Colombia’s Paula Caballero Gómez is recognized as having been instrumental in the early conceptualization and promotion of Sustainable Development Goals. UNEP and FAO team up to promote synergies between the Basel, Rotterdam and Stockholm conventions in two-week chemicals and waste meeting. 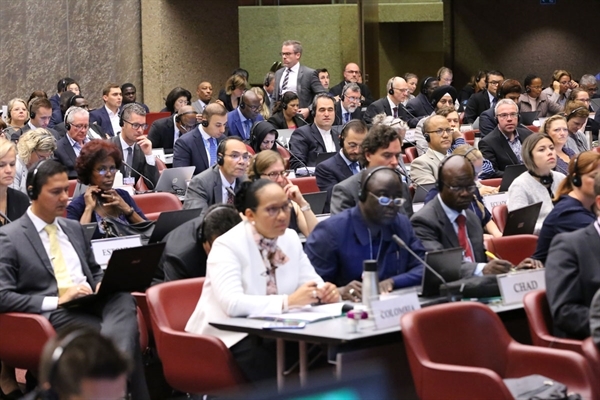 Geneva, Switzerland, 11 May 2013 – The three conventions that govern chemicals and hazardous waste safety at the global level concluded their first ever jointly held meetings of the parties late Friday night in Geneva. The historic meeting, attended by nearly two thousand participants from 170 countries, as well as 80 Ministers, adopted 50 separate decisions aimed at strengthening protection against hazardous chemicals and waste. The three legally autonomous conventions had convened the joint meeting of the conferences of the parties to strengthen cooperation and collaboration between the conventions, with a view to enhancing the effectiveness of their activities on the ground. Each convention then continued individually over the two-week period to deal with its own specific topics of the global chemicals and waste agenda before returning in a joint session at the end of the week to finalize their outcomes. The meeting culminated in a ministerial segment on 9 and 10 May 2013 dedicated to the theme of strengthening synergies between the conventions at national, regional and global level. The ministerial segment was joined by Swiss Federal Councillor Doris Leuthard, United Nations Environment Programme (UNEP) Executive Director Achim Steiner, Food and Agriculture Organization of the United Nations (FAO) Director-General José Graziano da Silva, and Global Environment Facility (GEF) CEO and Chairperson Naoko Ishii. The global agency leaders pledged to deepen cooperation and collaboration as part of a broader effort to raise the profile of chemicals and waste issues, promote green growth and alleviate poverty. At its conclusion, the joint meeting acclaimed the “Geneva Statement on the Sound Management of Chemicals and Waste”. The Geneva Statement welcomed the UNEP-led consultative process on financing options for chemicals and waste that has considered the need for heightened efforts to increase the political priority accorded to sound management of chemicals and waste. FAO Director-General José Graziano da Silva said that in many countries intensive crop production has depleted agriculture’s natural resource base, jeopardizing future productivity. “To fight hunger and eradicate poverty, we will need to find more sustainable ways to produce 60 percent more food by 2050,” he said. However, he recognized that chemical pesticides would continue to be part of farming in many parts of the world in future. 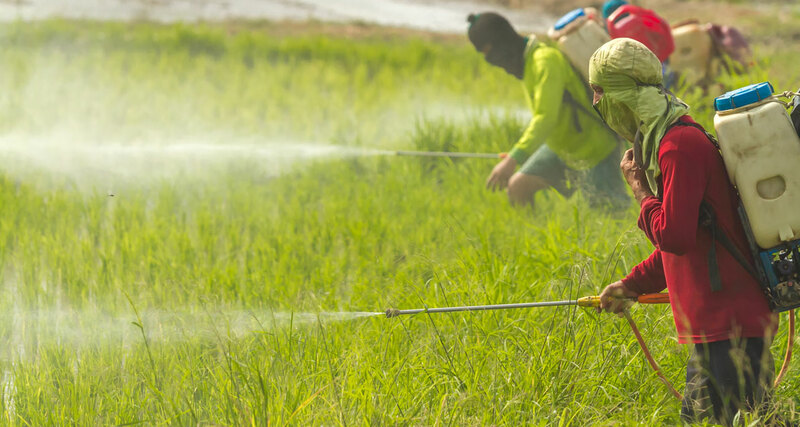 “The challenge is to enable countries to manage pesticides safely, to use the right quantity, at the right time and in the right way and also to apply alternatives to hazardous pesticides. Because when we don’t, pesticides continue to pose a serious risk to human health and the environment and will eventually end up as waste. Today, half a million tons of obsolete pesticides are scattered around the developing world,” he said. The joint meetings of the conferences of the parties to the Basel, Rotterdam and Stockholm conventions also reviewed the impact of the arrangements put in place by governments in 2011 to strengthen synergies among the treaties. “Much of the success of this synergies meeting is owed to the outstanding cooperation and inspired leadership of the three presidents of the conferences, Franz Perrez of Switzerland, Magdalena Balicka of Poland and Osvaldo Álvarez-Pérez of Chile,” added Mr. Willis. The 6th meeting of the Conference of the Parties to the Stockholm Convention agreed to list hexabromocyclododecane (HBCD) to Annex A to the Convention with specific exemptions for expanded polystyrene and extruded polystyrene in buildings. Efforts to adopt a non-compliance mechanism, however, did not succeed in the face of continuing disagreement on how such a mechanism might function. Basel Convention's parties, at their 11th Conference of the Parties, took decisions to strengthen compliance with the Convention. The Parties adopted a framework for the environmentally sound management of hazardous wastes and other wastes, and agreed, over the next two years, to develop technical guidelines on transboundary movements of electronic and electrical wastes (e-waste). The meeting also decided terms of reference for the newly established Environmental Network for Optimizing Regulatory Compliance on Illegal Traffic (ENFORCE), which aims to prevent and combat illegal traffic in hazardous and other wastes through the better implementation and enforcement of national law. The 6th meeting of the Conference of the Parties to the Rotterdam Convention had considered the possible addition of five chemicals and one severely hazardous pesticide formulation to Annex III of the Convention. It agreed by consensus to add the pesticide azinphos-methyl and the industrial chemicals PentaBDE, OctaBDE and PFOS to Annex III of the Convention. Listing in Annex III triggers an exchange of information between Parties and helps countries make informed decisions about future import and use of the chemicals. The addition of four substances is the highest number to be added to the Convention's prior informed consent procedure by any conference of the parties since the adoption of the Convention in 1998. In contrast, the Conference of the Parties to the Rotterdam Convention did not succeed in reaching agreement on the addition of chrysotile asbestos and a severely hazardous pesticide formulation containing paraquat to the Convention. The proposal to list chrysotile asbestos and the paraquat formulation will be considered at the next Conference of the Parties in 2015. The joint meeting hosted a three-day Regional Fair from 1 to 3 May 2013 dedicated to the theme 'Synergies through regional delivery' and attended by 20 Stockholm Convention or Basel Convention Regional Centres and two Regional Offices of UNEP. The Fair provided the venue for the signing of bi-regional and intra-regional cooperation agreements between centres in Latin America and Caribbean, and Central and Eastern European regions in the areas of technical assistance and awareness-raising and outreach. Basel Convention on the Control of Transboundary Movements of Hazardous Wastes and their Disposal regulates the export/import of hazardous waste and waste containing hazardous chemicals. The Convention was adopted in 1989 and entered into force in 1992. It currently has 180 Parties. Rotterdam Convention on the Prior Informed Consent Procedure for Certain Hazardous Chemicals and Pesticides in International Trade currently regulates information about the export/import of 47 hazardous chemicals listed in the Convention’s Annex III, 33 of which are pesticides (including 4 severely hazardous pesticide formulations) and 14 of which are industrial chemicals. The Convention was adopted in 1998 and entered into force in 2004. It currently has 152 Parties. Unlike the Stockholm Convention, the Rotterdam Convention does not ban or restrict trade in chemicals or pesticide formulations, but serves to strengthen protection of human health and the environment by expanding the exchange of critical safety information between exporting and importing States. Stockholm Convention on Persistent Organic Pollutants currently regulates 23 toxic substances that are persistent, travel long distances, bioaccumulate in organisms and are toxic. The Convention was adopted in 2001 and entered into force in 2004. It currently has 179 Parties. For more information, visit the 2013 COPs website: synergies.pops.int or follow the Basel, Rotterdam and Stockholm conventions on Twitter @brsmeas #brscops. PentaBDE: Pentabromodiphenyl ether (CAS No. 32534-81-9) and pentabromodiphenyl ether commercial mixtures; OctaBDE: Octabromodiphenyl ether commercial mixtures; PFOS: Perfluorooctane sulfonic acid, perfluorooctanesulfonates, perfluorooctanesulfonamides and perfluorooctanesulfonyls. The Secretariat of the Basel, Rotterdam and Stockholm Conventions is deeply saddened to learn of the passing of Mr. Sergey Eduardovich Tikhonov. The Secretariat of the Basel, Rotterdam and Stockholm Conventions is deeply saddened to learn of the passing of Mr. Sergey Eduardovich Tikhonov, a leader in the Commonwealth of Independent States (CIS) in the field of sound chemicals and waste management. Mr. Tikhonov died in Moscow, Russian Federation, on Friday, 26 October 2012. Mr. Tikhonov headed the Autonomous Non-Profit Organization Centre for International Projects (ANO-CIP), based in Moscow, and served as director of the Stockholm Convention Regional Centre for capacity-building and transfer of environmentally sound technologies and the Basel Convention Regional Centre for Countries of the CIS. Over a long and distinguished career, Mr. Tikhonov cooperated with the United Nations Environment Programme on awareness-raising and capacity-building initiatives in support of the chemicals and wastes conventions. He also supported a variety of public right-to-know mechanisms, including Earthwatch / International Register of Potentially Toxic Chemicals (IRPTC) and national Pollutant Release and Transfer Registers. 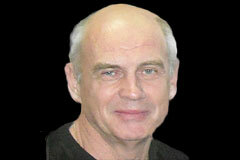 Sergey Tikhonov’s dedication and inspiring nature will long be remembered by those who were privileged to work with him. Our Secretariat expresses its heartfelt sympathy to his family, friends and the staff of the Regional Centre in this time of sorrow. More than 200 international waste management experts gathered last week to advance global measures to control the transboundary movement of hazardous and other wastes. 4 October 2012, Geneva – More than 200 international waste management experts gathered last week to advance global measures to control the transboundary movement of hazardous and other wastes. The eighth meeting of the Open-ended Working Group of the Basel Convention on the Control of Transboundary Movement of Hazardous Wastes and Their Disposal met from 25 to 28 September 2012, in Geneva. The Working Group adopted ten separate decisions aimed at strengthening implementation of the leading global treaty governing hazardous wastes. Considerable progress was made in a number of areas, including the further development of technical guidelines on e-waste and wastes containing persistent organic pollutants (POPs). Work progressed on technical guidelines for environmentally sound management of wastes containing persistent organic pollutants (POPs), with agreement on covering new POPs added in 2010 to the Stockholm Convention on POPs. The guidelines will further strengthen synergies between the two global conventions. Development of technical guidelines for the environmentally sound management of wastes consisting of, containing or contaminated with commercial octabromodiphenyl ether (hexabromodiphenyl ether and heptabromodiphenyl ether); commercial pentabromodiphenyl ether (tetrabromodiphenyl ether and pentabromodiphenyl ether);and perfluorooctane sulfonic acid, its salts and perfluorooctane sulfonyl fluoride were included in the programme of work of a small intersessional working group. Experts reviewed technical guidelines on transboundary movements of e-waste, which will be further revised and considered for adoption by the Conference of the Parties, the highest governing body of the Convention, at its eleventh meeting (COP-11) in 2013. Proposals for new entries to the list of wastes contained in Annex IX to the Basel Convention submitted by Finland, Ireland, and the Netherlands were agreed to be forwarded to the Conference of the Parties for consideration at its eleventh meeting. As a follow-up to the Indonesian-Swiss country-led initiative to improve the effectiveness of the Basel Convention adopted at the tenth meeting of the Conference of the Parties, held in Cartagena, Colombia in October 2011, a report on the interpretation of certain terminology to provide further legal clarity was considered. The Working Group decided that a first step towards achieving this goal was the development of a glossary covering key terminology under the Convention such as waste/non-waste, hazardous/non-hazardous waste, re-use, direct re-use, refurbishment, second hand goods, used goods and end-of-life goods. The Working group also recommended that COP-11 establish an intersessional group to undertake further work on this core issue under the Convention, including possible consideration of the various legally binding or voluntary options that could be adopted to achieve greater legal clarity. The Working Group also reviewed a study including options for dealing with the problem posed by the transboundary movement and disposal of used and end-of-life goods (“UELG”). These goods do not easily fit the paradigm of wastes to be permanently disposed of. The re-use or recycling of such goods can conserve resources and provide significant economic opportunity to both exporting and importing States. At the same time, export of used and end-of-life goods, especially when not accomplished for the purported purpose of re-use, carries risk to health and the environment, particularly in countries that lack the necessary capacity and infrastructure to manage them properly, including assuring environmentally sound management and disposal of any hazardous components. In addition, lack of clarity regarding the status of these goods under the Basel Convention, combined with divergent national approaches, has complicated efforts to effectively manage their transboundary movement. A legal analysis of the application of the Basel Convention to hazardous wastes and other wastes generated on board ships was considered by the Working Group. It reviewed for instance the relationship between the Basel Convention and the International Convention for the Prevention of Pollution from Ships, 1973, as modified by the Protocol of 1978 as further amended by the Protocol of 1997 (MARPOL) and presented conclusions aimed at clarifying the application of the Basel Convention to such wastes. This matter will be further considered during COP-11. Other decisions taken at the meeting addressed promoting further development of the Basel Convention’s regional and coordinating centres, the progress in the implementation of the strategic framework and partnership programme. The 10-year strategic framework had been adopted at the tenth meeting of the Conference of the Parties in Cartagena, Colombia, in October 2011. The biennial meeting of the working group was held back-to-back with the second meeting of the Convention’s Technical Expert Group charged with completing development of a framework for the environmentally sound management of hazardous wastes and other wastes, held from 1 to 2 October 2012. The outcomes of the two meetings will help set the stage for the 11th meeting of the Conference of the Parties to the Basel Convention, which will be held back-to-back with the conferences of the parties to the Rotterdam and Stockholm conventions during a two-week period from 28 April to 10 May 2013 in Geneva. These back-to-back conferences will be held for the first time in tandem with extra-ordinary meetings of the conferences of the parties charged with solidifying synergies among the three conventions. The Open-ended Working Group, one of the subsidiary bodies of the Conference of the Parties to the Basel Convention, assists the Conference of the Parties in developing and keeping under continuous review the implementation of the Convention’s work plan, specific operational policies and decisions taken by the Conference of the Parties for the implementation of the Convention. It is mandated by the Conference of the Parties to advise the Conference of the Parties on issues relating to policy, technical, scientific, legal, institutional, administration, finance, budgetary and other aspects of the implementation of the Convention, including identification of the specific needs of different regions and subregions for training and technology transfer and to consider ways and means of ensuring the establishment and functioning of the Basel Convention Regional Centres for Training and Technology Transfer. The Working Group meets once every two years. The eighth meeting of the Open-ended Working Group was co-chaired by Ms. Jimena Nieto (Colombia) and Mr. Luay S. Al-Mukhtar (Iraq).